When it comes to vegetables in particular, most of us aren't getting enough. In America alone over 80% of the population isn’t consuming enough. Eating more fruit and vegetables can help significantly reduce your risk for a number of chronic diseases, including high blood pressure, type 2 diabetes, heart disease, obesity and cancer. The fibre in whole produce also helps keep your microbiome (the collection of good bacteria that live in your gut) happy, which can reduce your risk for autoimmune diseases, fight off pathogens and infections and even improve your mood. Every year the USDA releases a list of products that are worth investing in organic. Your mum was right. Don't forget your veggies: pick your own at The Daily Cut. 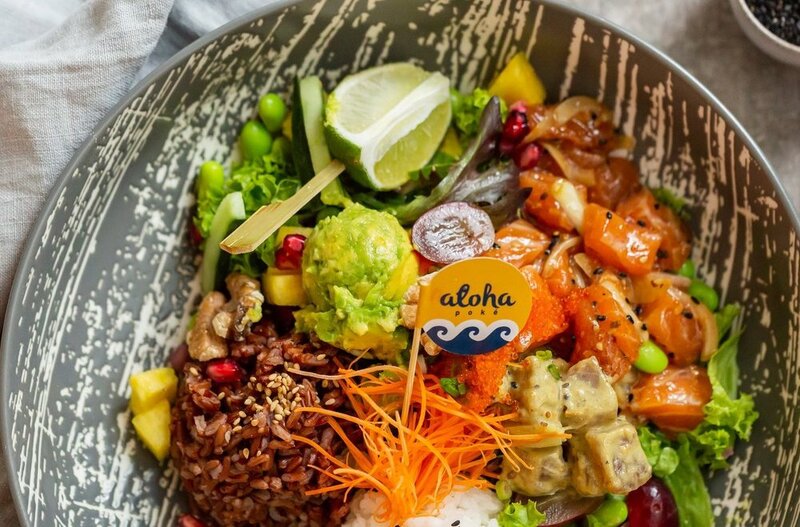 Proteins, veggies and fruit - so much goodness in one little bowl with Aloha Poke. The cleanest whole grains are the ones that have been touched the least by processing. Think whole grains that look most like their just-harvested state—quinoa, wild rice, oats. While some people abstain from eating any processed grains, we think that whole-wheat pasta and whole-grain bread made with simple ingredients are part of eating clean. Don't get duped by "whole-grain" claims on labels though, to eat clean packaged whole grains you need to take a closer look at the ingredients. Whole grains should always be the first ingredient, the ingredient list should be short and recognisable, and it should have minimal (if any) added sugar. When you swap out refined carbs (like white pasta, sugar, and white bread) for whole grains you'll get more fibre, antioxidants and inflammation-fighting phytonutrients. Plus, people who eat more whole grains have an easier time losing weight and keeping it off long term. Nuts and seeds are also an amazing addition to get your good proteins and carbs in, not to mention some healthy fats. We should aim to get seeds into our nutrition daily and nuts every other day. The Whole Kitchen has several amazing products that will help you get these good nutrients in, ethical and tasty to boot. Picking your sources of protein is very important. Protein provides energy and supports your mood and cognitive function. Protein is a vital nutrient required for building, maintaining, and repairing tissues, cells, and organs throughout the body. When you eat protein, it is broken down into the 20 amino acids that are the body’s basic building blocks for growth and energy. The amino acid tryptophan influences mood by producing serotonin, which can reduce symptoms of depression and anxiety and improve overall cognitive function. Most animal sources of protein, such as meat, poultry, fish, eggs, and dairy, deliver all the amino acids your body needs, while plant-based protein sources such as grains, beans, vegetables, and nuts often lack one or more of the essential amino acids. However, that doesn’t mean you have to eat animal products to get the right amino acids. By eating a variety of plant-based sources of protein each day you can ensure your body gets all the essential amino acids it needs. 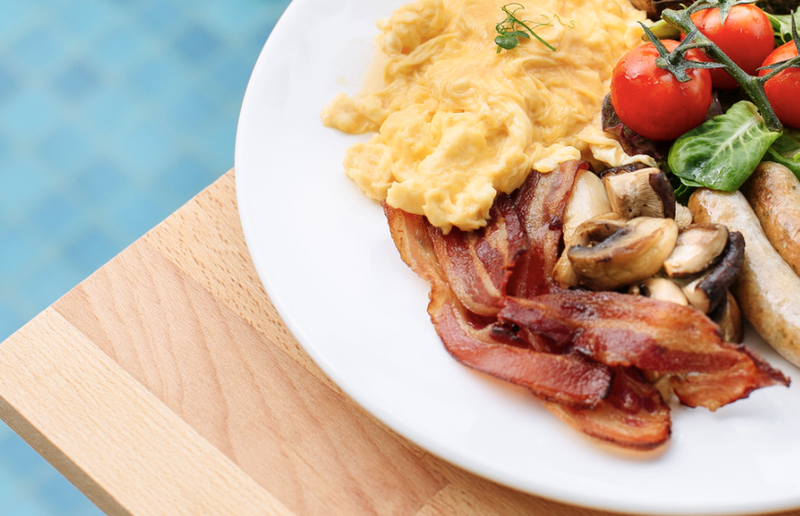 Eating the right amount of high-quality protein gives you the energy to get up and go—and keep going. As well as being imperative to feeling healthy and energetic, protein is also important to the way you look. Eating high-quality protein can help you maintain healthy skin, nails, and hair, build muscle, and maintain lean body mass while training and eating well. Distinguishing between industrially raised meat and organic, grass-fed meat is only part of separating low and high-quality sources of protein. While some processed or lunch meats, for example, can be a good source of protein, many are loaded with salt, which can cause high blood pressure and lead to other health problems. Processed meats have also been linked with an increased risk of cancer, likely due to the substances used in the processing of the meat. The key to ensuring you eat sufficient high-quality protein is to include different types in your diet, rather than relying on just red or processed meat. 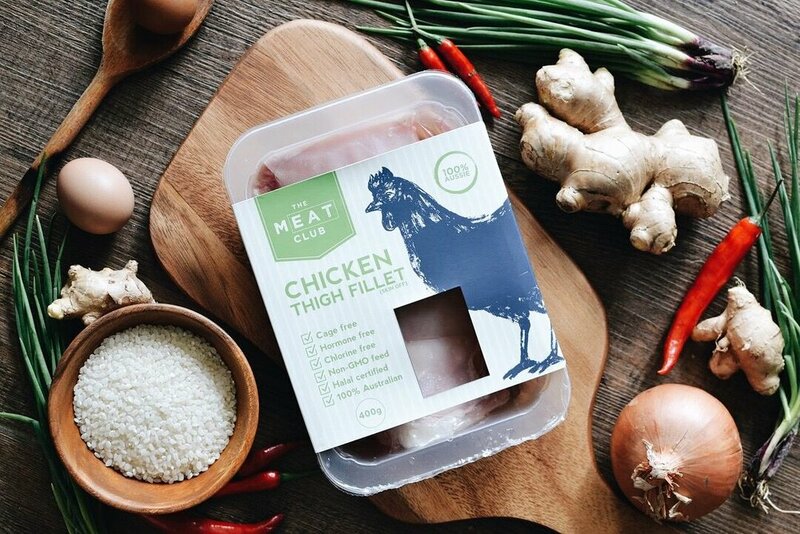 We love the high-quality proteins sourced from The Meat Club, as well as post-training protein boosters such as the pea-based powders from Nuzest. We're not opposed to all processed foods. Technically when we chop, mix and cook at home we are processing foods. The trouble is that so much of the processed food at the supermarket is processed beyond the point of recognition. Crisps shouldn’t be bright orange in colour or covered in cheese. Keep an eye out for anything with lots of sugar and refined grains, and a super-long ingredient lists with foods you don't recognise and anything with partially hydrogenated oils. Clean processed foods exist and The Whole Kitchen and The Providore has a great range. And while you can make salad dressings, pasta sauce, mayo, hummus and broth at home, you can also find clean versions at the store. Just read the ingredients list. Most people eat too many added sugars. The recommend daily amount is only 8 to 11 teaspoons of sugar a day. The average American gets about 4 times that amount — 28 teaspoons of added sugar per day!! To clean up your diet, cut down on added sugars by limiting sweets like soda, candy and baked goods. But it's more than just sweets and desserts — keep an eye on sugars added to healthier foods like yoghurt (choose plain), tomato sauce and cereal. Look for foods without sugar as an ingredient, or make sure it's listed towards the bottom, which means less of it is used in the food. When you're eating out, go for reduced sugar options by ordering eggs, mushrooms and avocado for breakfast instead of the cereal - and more white spirits and sparkling water than cocktails. You and your taste buds will still have an amazing time at great places like Tanjong Beach Club and Super Loco and your body will love you for it! Clean eating is better for you and the planet. The food we eat takes resources to get to our plate. Food that needs to be transported from thousands of miles away to your store is adding to our carbon footprint, not to mention that they are likely to be loaded with preservatives. Wherever possible, stick to seasonal vegetables and fruits that are regional to ensure you are eating the freshest and tastiest produce. When you visit other countries with their own seasonal produce, tuck in and cherish those rich, real food flavours!! Don't forget about your UFIT Perks discounts! As a UFIT client you get a discount at many of these awesome food providers and more by quoting the UFIT promo code or showing your UFIT Perks keytag. Wendy Riddell is a degree-qualified nutritionist with 18 years of experience. She runs the highly popular UFIT Clean & Lean Challenge, which successfully helped thousands of people lose weight and develop healthy eating habits. Wendy is also a fully qualified personal trainer and bootcamps coach, with experience in running fitness programs in Australia and Singapore. A regular CrossFitter, she has competed in multiple obstacle races, half-marathons and cycling races in Singapore and in the UK. Wendy is a great believer that anyone can achieve anything with the right support. “I can, and I will.” is one of Wendy’s favourite phrases. She has four young children and understand first hand the challenges of balancing a healthy lifestyle with the demands of daily life. UFIT Perks just for you! Don't forget! 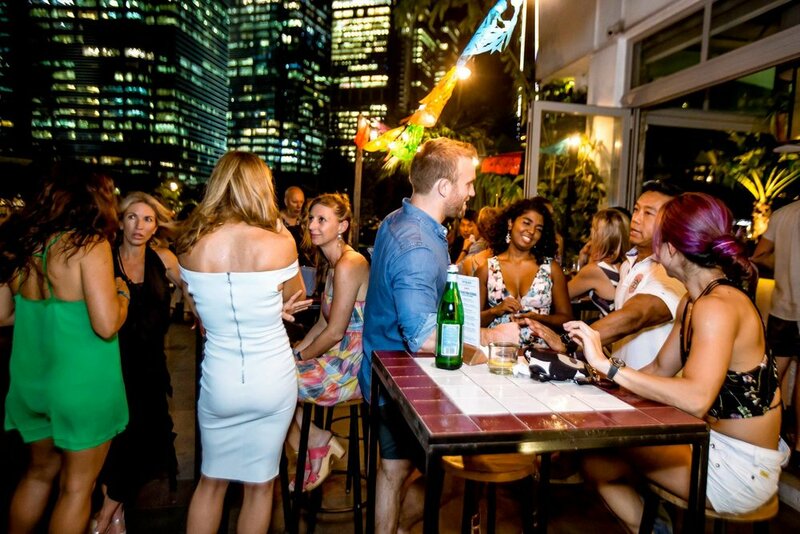 As a UFIT client you qualify for the UFIT Perks Program, which gets you discounts at some of our favourite must-visit bars and restaurants to the very best clothing, services, and nutrition providers around Singapore. The high-end barber shop in the heart of the city favoured by our Personal Trainers and many of their clients. 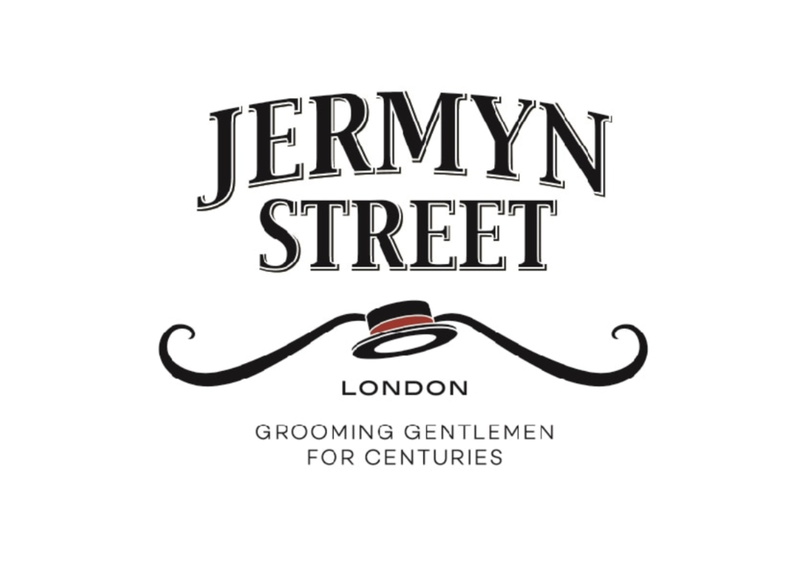 Guys you get 15% off all services, and whilst you're there enjoy a great cup of coffee or an awesome stiffer drink from Jermyn's Street's very own well-stocked bar. Tasty snacks with NO refined sugar, cheap white flour, preservatives or additives. From grass-fed beef jerky to delicious snack bars, their curated menu of gluten-free snacks represents their philosophy that great taste should not be compromised by eating clean. 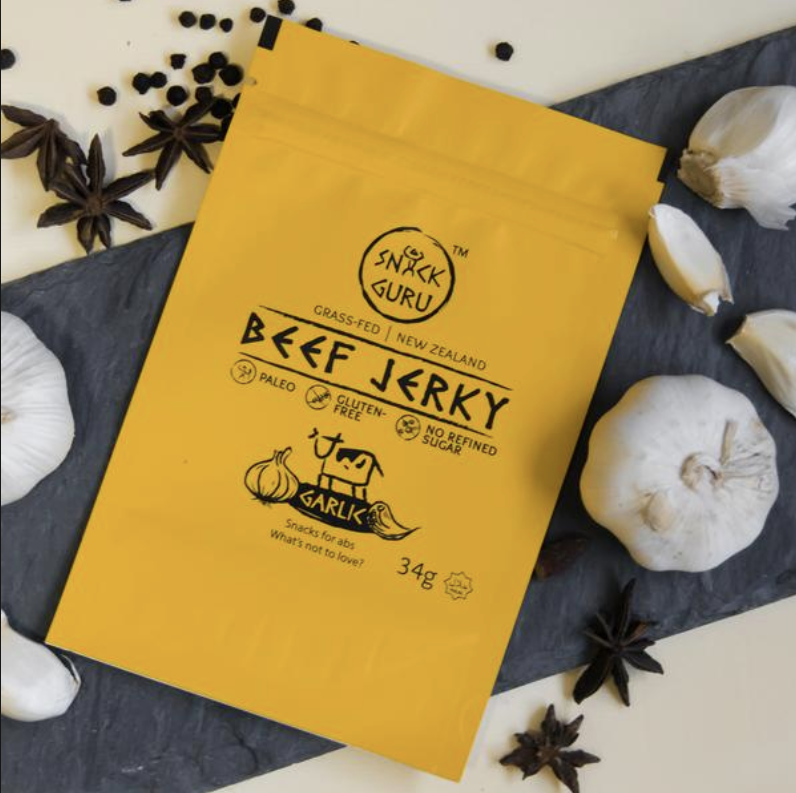 Enjoy 10% off the beef jerky and mushroom range by typing in "UFIT" when you order from here. Come and check out this brand new coffee and toast hole-in-the-wall bar at 31 Club Street - right beside the Emerald Hill condo - and by mentioning UFIT get 10% off your coffee. Whilst you're there say hi to it's proud owner Denise who trains regularly at CrossFit Tanjong Pagar and loves to share training stories with fellow UFIT-ers. Fiona Bennett is a professional makeup artist and hair stylist based in Singapore. Hailing from Australia, she's available for weddings, events, photoshoots and workshops as a freelance makeup artist and hair stylist. She is offering UFIT Perks members a 20% discount by quoting UFIT.